The ASUNM Arts & Crafts Studio is an open ceramics and jewelry workshop. 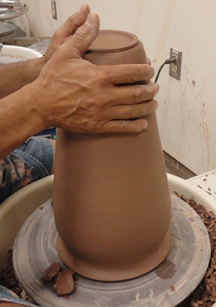 Members enjoy access to pottery wheels, hand-building tools, electric kilns, a full-service jewelry and silversmith bench and an experienced staff of technicians and student instructors. Membership includes materials costs for ceramics including clay, glazes and tool use. Jewelry materials may be purchased from the studio at a discount. Private and Group Lessons Available upon Request! Please note: These hours are subject to change. Any alterations or unexpected closures will be posted as soon as possible on the door of the studio as well as on the Studio's Facebook Page. Membership is available to anyone, not just Students!